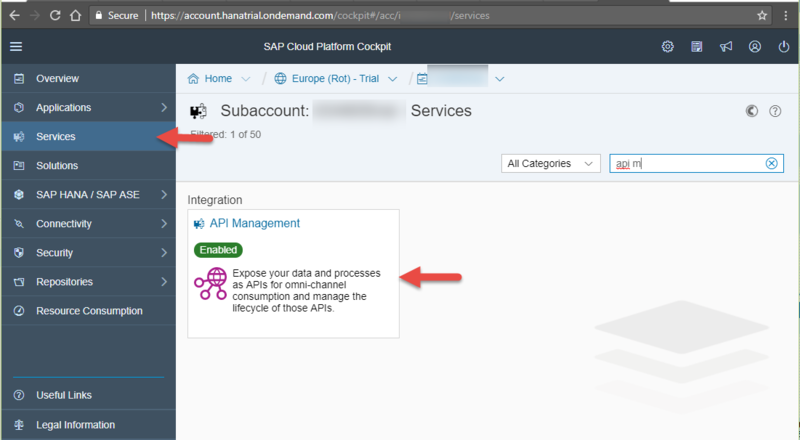 With this we have activated an API Proxy which connects to the SAP Gateway OData API https://sapes4.sapdevcenter.com/sap/opu/odata/IWBEP/GWSAMPLE_BASIC/ and is accessible to any one on the public domain without any API rate limit. 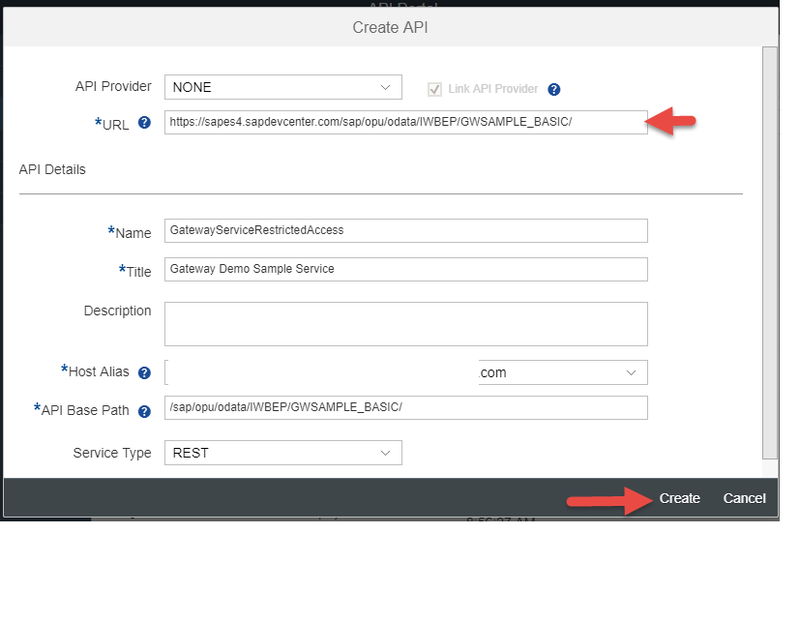 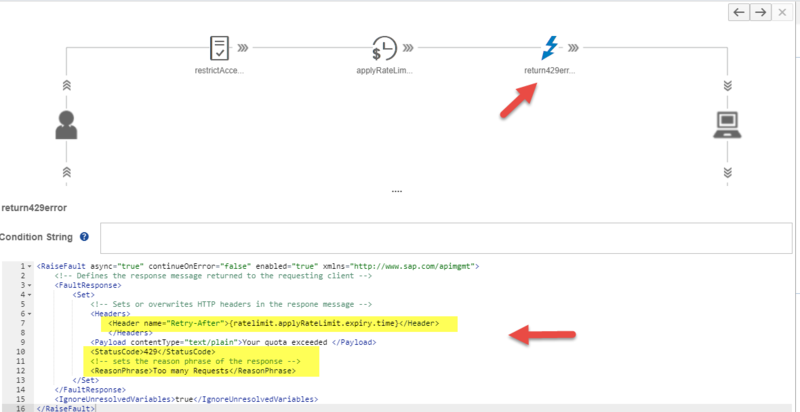 Navigate to the Define from the hamburger icon, then select the tab APIs then we select the API Proxy to which API Rate limiting would be applied. 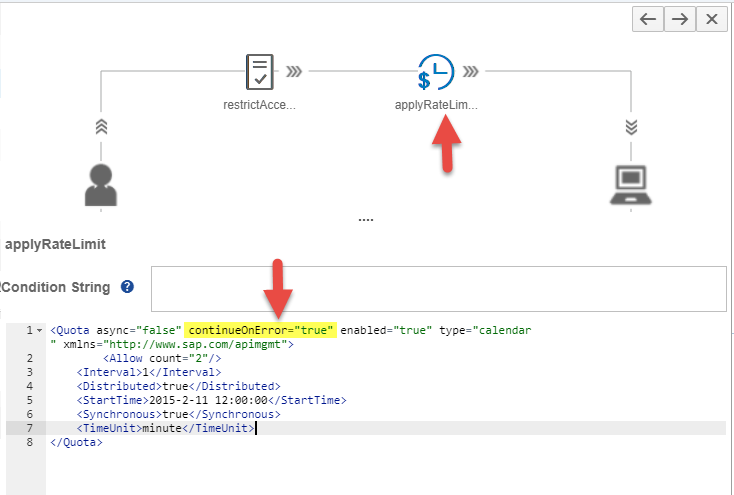 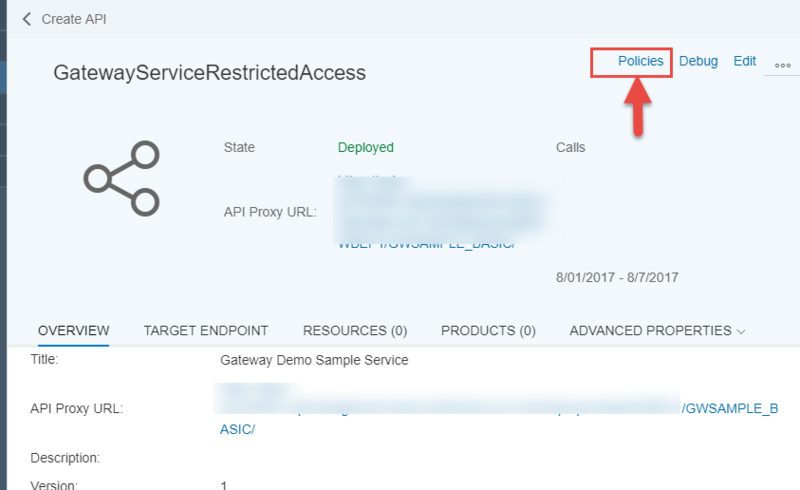 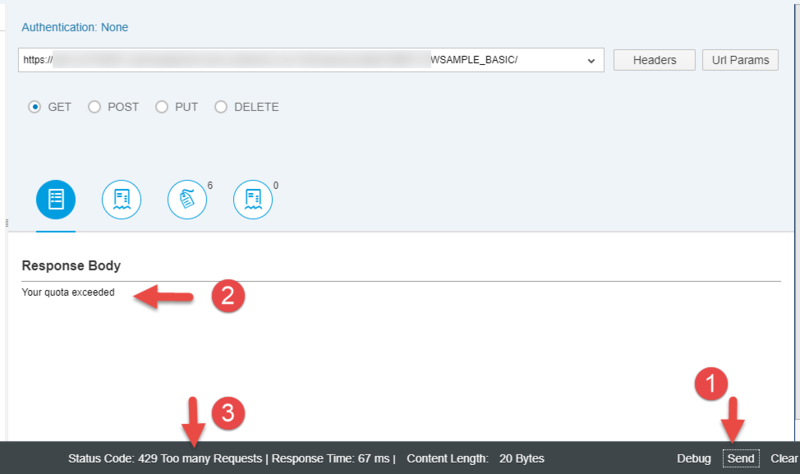 In this section, we would apply the Quota policy from SAP Cloud Platform, API Management to limit the API calls to 2 calls per minute. 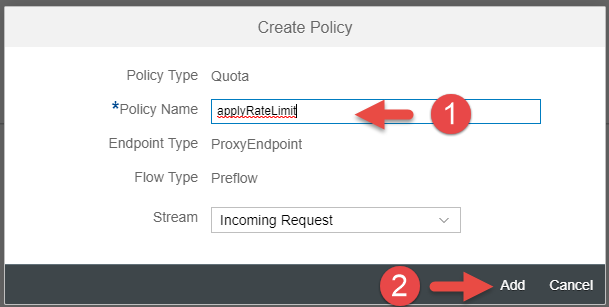 Click on the Edit button from the Policy designer, select PreFlow from the ProxyEndPoint and then click on the + button next to the Quota Policy available under the Traffic Management Policies segment. 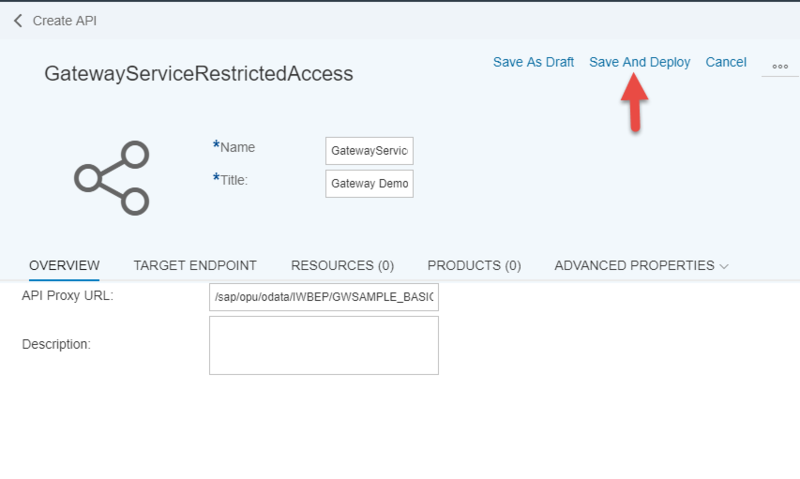 In the Create Policy dialog, provide the name of the policy say applyRateLimit.and click on the Add button. 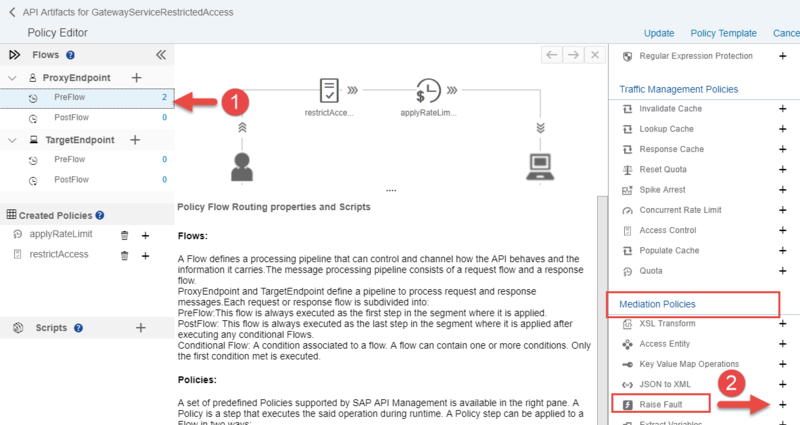 From the Policy designer, select PreFlow from the ProxyEndPoint and then click on the + button next to the Raise Fault Policy available under the Mediation Policies segment. 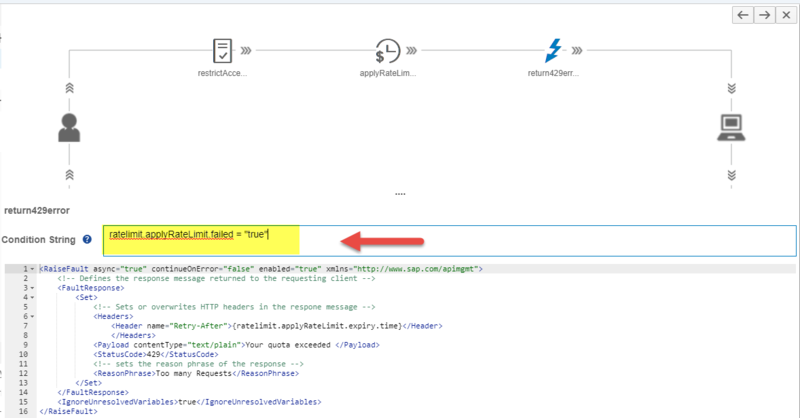 The above added return429error raise fault policy would have to be executed only in case of quota error and therefore in the Condition String field in the copy paste the condition value of ratelimit.applyRateLimit.failed = “true”. 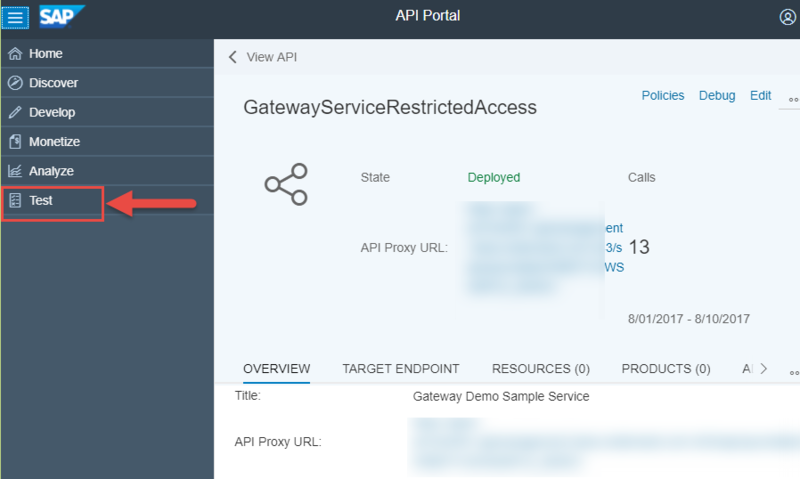 This condition ensures that only when the quota is exceeded, the error is returned to the API caller. 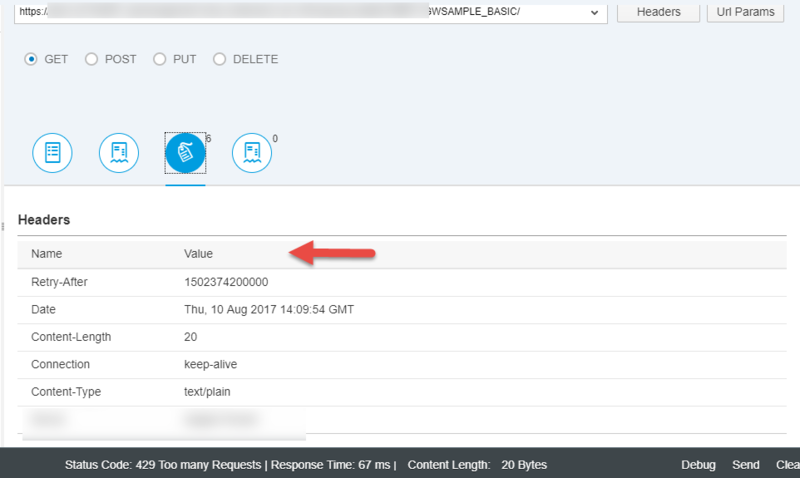 With this we have successfully set the API rate limit using SAP Cloud API Management as described in the REST security protection in OWASP and following the rate limiting RFC standards for error handling.